When we think of healing botanicals, we might think of exotic, rare plants and fungi that only grow in secret little corners of the world. This is true in the case for some of these, like ginseng, cordyceps, and even the bizarre cistanche. But our imaginations might run even wilder than this, instead of picturing natural remedies akin to magical, spectacular, and hard to obtain plants that we’ve only seen or heard of in movies or books. Are the most powerful plants for health attainable only by scaling a treacherous, windy cliff atop a remote mountain habitat to reach them? Can they only be found by talking to some wise and ancient sage? Enjoy that classic, fairytale image of where healing herbs come from for a minute. But be grateful to know that this fantastical idea couldn’t be farther from the truth! In fact, some of the very best herbal remedies that have been discovered over time are growing quietly in our backyards, even they’re weeds we didn’t want there in the first place. The most famous of these is the bright and bold dandelion, an amazing herbal ally that could help strengthen bones, protect the kidneys, and more. For us home gardeners and lawn-lovers, it’s the flower we have all learned to love to hate. But long before suburban dwellers sought to do battle with this unassuming—but invasive—yellow flower, it had an important place in the natural medicine cabinet, and even on our ancestors’ dinner tables. In the northern European countries from where it originates, dandelion was used as a spring food and tonic to “freshen up” health after long, cold winters. No wonder too, since it was one of the first wild plants to bear its head in spring. Even today it still does so, and in many other temperate countries and regions beyond Europe as well to which it has spread—even if it wasn’t invited there. The entire plant just so happens to be edible for such culinary and medicinal uses—flowers, leaves, or roots. Its yellow flowers were sweeter and often made into wines, whether for healing or enjoyment. Leaves were eaten either cooked or raw in salads and were incredibly nutritious. Dandelion’s bitter roots, on the other hand, were roasted and turned into coffee-like beverages or accompanied similar tonic herbs (such as burdock) in drinks that are still popular in Europe today. Ever heard of root beer? Dandelion root was once an important ingredient for this drink loved in both America and Europe. Fascinatingly enough, these beverages—foundations of our favorites today—were originally medicines in which dandelion root played an important part. If dandelion root was such a vital part of once-medicinal herbal beverages, then what exactly could it do? Herbalists of old claimed it could do many things. One of these was as a spring tonic or “cleanser” to clean the blood of impurities, clear up the skin, detoxify the body and liver, and restore energy and vitality. Healers also noticed that dandelion root increased urination, and thus must have a healing effect on the kidneys and urinary system. What’s more, a hot tea of the plant helped with fevers and some hormonal complaints. Above all else, however, dandelion was an especially nutritious food: rich in vitamins, minerals, and antioxidants that didn’t just promote health but also appeared to protect certain organ systems—particularly the kidneys, bones, and the liver. So how do all these older uses and healing knowledge of dandelion translate in today’s times? Apparently, a few of these uses are still quite relevant now—especially with some of dandelion’s most stalwart qualities currently being explored and supported by research today. That’s right: dandelion may really be a detoxifying herb through its antioxidant actions on organs like the kidneys and liver. As a nutrient dense food too, it strengthens health everywhere through its high mineral content, which could be of particular usefulness to bone growth and health. There are even some discoveries about dandelion that may be surprising and that herbalists never explored, too. Love it, leave it, keep it in the garden, or weed it out—dandelion is here to stay no matter what. It also can’t be denied that dandelion is an amazing food or botanical for overall health—and modern science agrees, too. So next time a bright golden-yellow dandelion pops up in that lawn or garden, think twice about getting rid of it. It might hold a treasure trove of health benefits that, with what research has to say about it, are really no secret. So why pull it out? Maybe try harvesting and exploring dandelion’s health properties instead for the following scientifically-supported benefits. This plucky little weed’s biggest claim to fame? An ability to protect the liver. As it so happens, dandelion’s perceived detoxifying or “spring tonic” effect can be owed to a high antioxidant content that supports the liver. Most specifically, tons of flavonoids, phenolic compounds, vitamins, and more are found in the plant, according to a 2015 review. They most likely protect all sorts of organs from free radical damage that may happen as the result of a bad diet or aging—though liver protection has been the most noticeable so far in studies. It’s also what ancient herbalists and healers noticed more, too. One 2012 study even found that dandelion directly shielded the liver against damage when damaging chemicals were introduced. Yet another in 2013 showed it could do the same when cirrhosis was induced on test subjects’ livers. Though the science of detoxes is still up for debate, we know for sure—and doctors do too—that maintaining liver health is a surefire way to help the body detoxify itself naturally, and without the need for spa treatments, purchased cleanses, or anything of that sort. Instead, dandelion could be a nutritional piece to the puzzle of what a healthy liver really needs, and perhaps even help reduce the risk of illnesses like fatty liver disease. 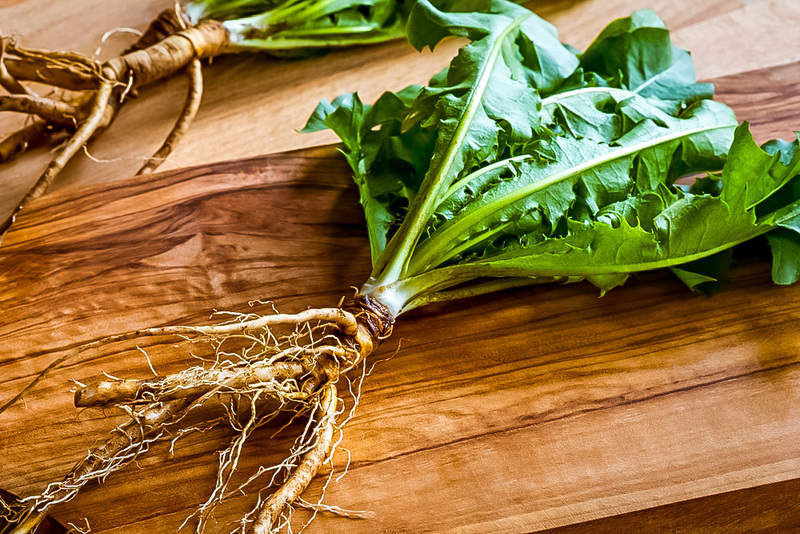 With recent research too, it seems dandelion may just help the liver do its job better—and that’s how its blood-cleansing effects come into play. Another aspect of dandelion both herbalists and healers noticed besides its blood-cleansing properties: it increased urination. 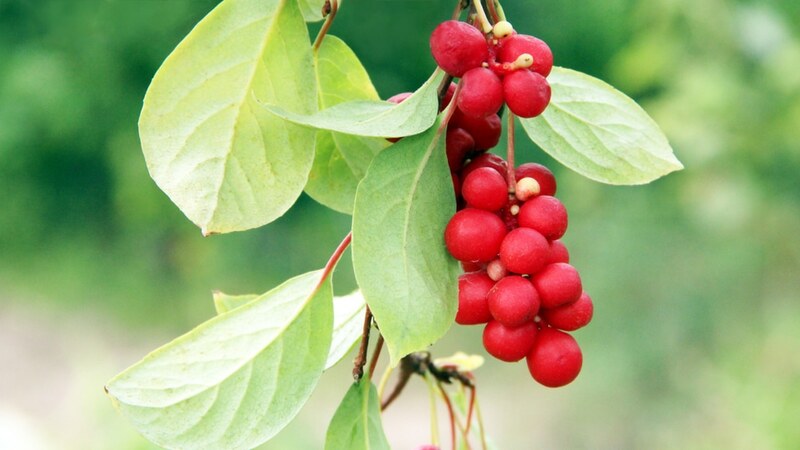 As a result, the plant has been prescribed for all manner of urinary and kidney ails. But does research say the same? Many studies and reviews, including a major review of dandelion in 2013, confirm that dandelion truly shows “diuretic” effects, or that it increases urination. What’s more, this diuretic property could be useful to health in a number of ways: such as for prostate issues, reducing the risk of urinary or kidney infections, and even keeping kidney stones from forming. A 2016 study also showed that when dandelion was used (particularly alongside milk thistle), it has a corrective impact on the kidneys, and even protected them as an antioxidant, much like the liver. In this way, dandelion could indeed be called a “blood cleanser” in every sense of the word. It has a way of especially targeting the ultimate organs in our bodies that help clear the blood of waste and impurities: the liver and kidneys. Though dandelion may be one of the best detoxifying botanicals according to research, this inconspicuous yellow flower also has a few other tricks up its sleeve. Namely: this little plant is packed with essential vitamins and minerals, not just antioxidants, according to studies. These include vitamins A, B, C, and incredible amounts of vitamin K. It also contains plenty of minerals like iron, magnesium, and phosphorus, but especially calcium and potassium. This specific cocktail of vitamins and minerals makes dandelion root a great natural source of nutrients for bone health. 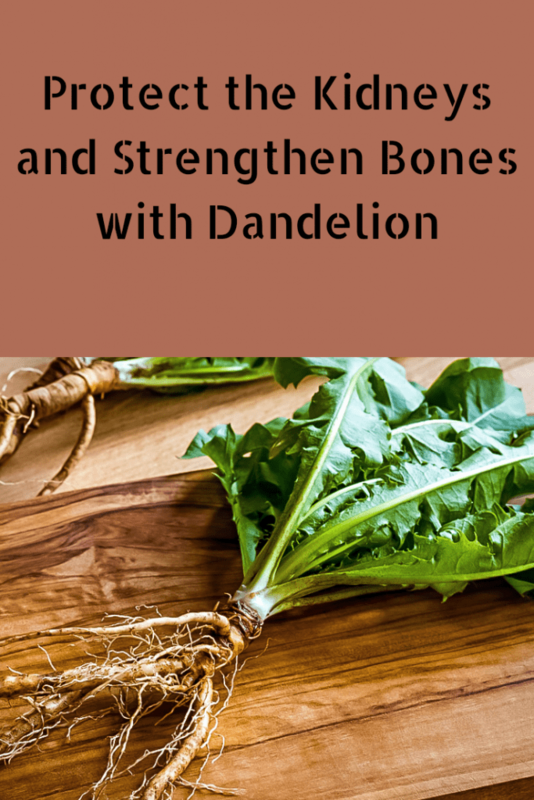 Dandelion has got plenty of calcium, but also plenty of vitamin K, which is necessary for the body to use calcium correctly for bone health, too. Interestingly, herbalists of old once turned to dandelion to fight infections that happened deep inside of the bones, including cancers and Lyme’s disease—though today, there isn’t research to support those uses. Coincidence, perhaps? Even so, eating dandelion as a food or enjoying it as a botanical supplement could be great for the skeletal system, no bones about it. There’s one thing that’s easy to notice about dandelion when it’s eaten, especially with its roots and leaves. As a food and botanical, dandelion is quite bitter. Though that may sound unpleasant at first, this might have some healthy advantages and benefits. For one, science shows that bitter receptors in our taste buds stimulate the digestive system to produce more gastric fluids, which in turn assist the breakdown of food quickly and more efficiently. In fact, a 2011 study connected this digestive response to the premature detection of poisons entering our systems, which—not coincidentally—tended to be bitter alkaloids from plants that were accidentally eaten by our ancestors, and a trait passed on to us today. Though dandelions aren’t poisonous of course, our body’s response to this bitterness means better digestion, less discomfort from eating, and possibly even better nutrient absorption. There’s also the possibility of increased metabolism since it might especially help with the difficult digestion of foods like fats, sugars and processed foods, and thus reduce the risk of illnesses like diabetes. A 2015 study also found that dandelion, with the help of other bitter herbs, could boost metabolism and reduce diabetes risk. Last but not least: dandelion is full of healthy fiber too. This is even more healing to the digestive system and reduces diabetes risk even further. What happens when a food or botanical contains tons of nutrients, increases digestion of those nutrients, and in the process also protects the kidneys, liver, and bones? The result is vibrant health and a body with all the nutrients it could ever need—plus an amazing ability to detoxify itself of the impurities and waste it could do without. As such, it won’t surprise some to hear that the domino effect of using dandelion as a healthful herb might, in the end, mean less overall inflammation, fatigue, and low energy. For that matter too, even research supports that this is what dandelion ultimately does for health in the end. A 2012 trial found that, when placed under stress, test subjects who received dandelion root experienced more energy, less fatigue, and even naturally boosted immunity. Though dandelion’s benefits may seem more about the liver, kidney, and bone health support, its ultimate—and wonderful—end goal is to create a lively, energetic, and more robust feeling of good health than ever before. Everything in the body is holistically connected. Because dandelion does so well at restoring better health through the liver, kidneys, bones, and even digestive system, it reduces overall inflammation, which could really do some favors for cardiovascular health. Because dandelion is also a diuretic, this may help relieve high blood pressure, a condition that greatly increases the risk of certain heart diseases. 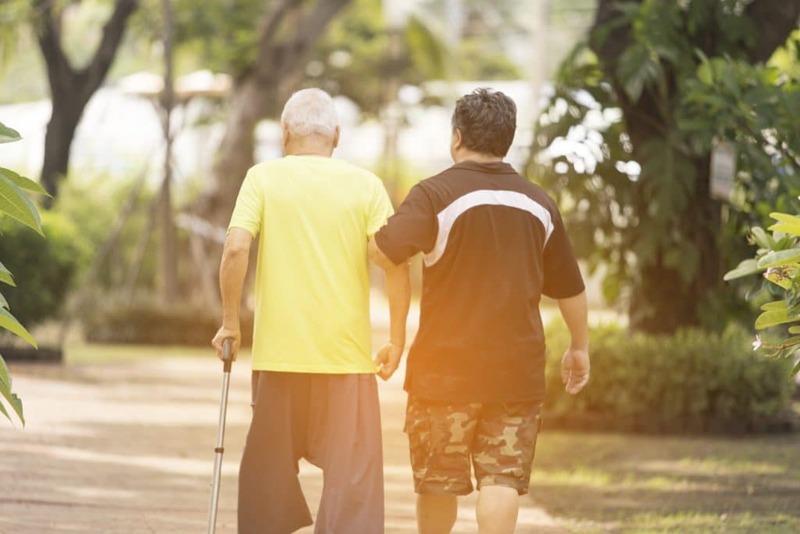 In certain specific cases, with the support of one’s doctor, these natural diuretic effects may even reduce one’s dependence on diuretic medications that sometimes come with unwanted side effects. In addition to that too, dandelion’s enhancement of digestion may also help digest fatty, sugary foods, which in turn decreases one’s vulnerability to heart disease through diet as well. No need to go digging up that garden or lawn to get some healing dandelion root and experience the benefits. 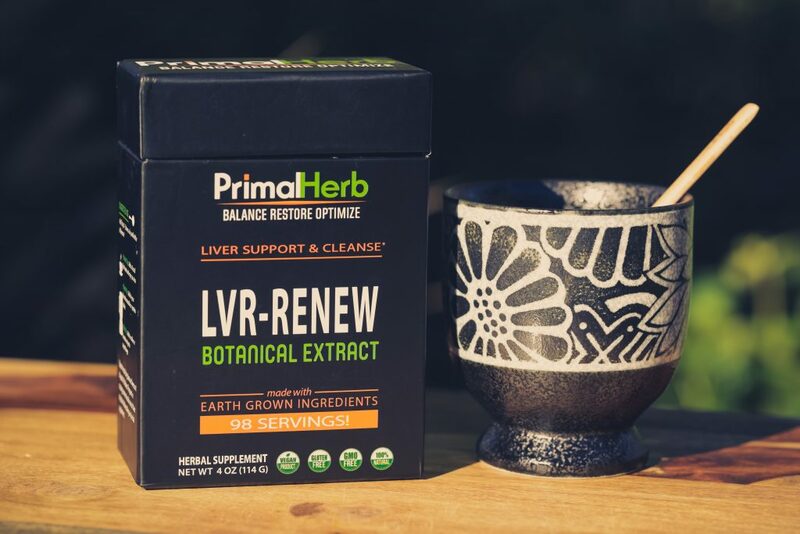 We’ve included it as an ingredient for supporting liver health in our LVR-RENEW herbal supplement formula. 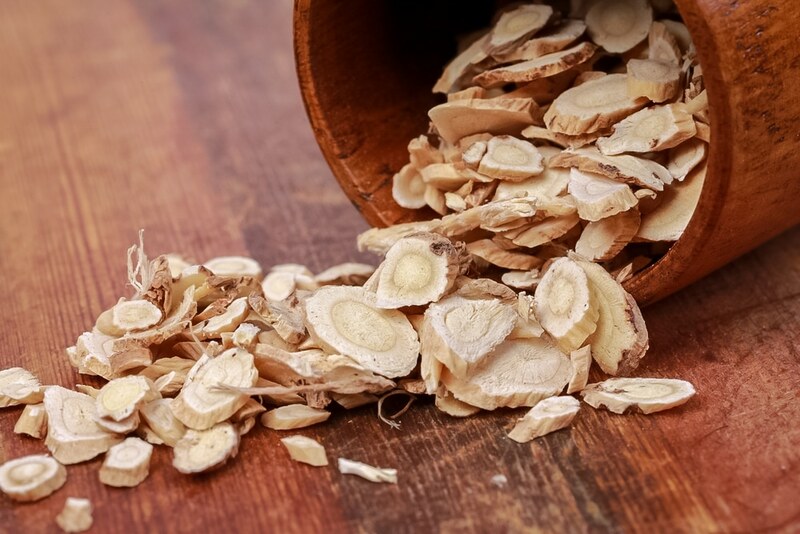 Dandelion root’s benefits have never been more available—or convenient.